Imagine the popular puzzle game Bejeweled as if it were an epic fantasy RPG. That’s Puzzle Quest, in a nutshell. Instead of normal RPG battles, you take on the CPU in puzzle games. The goal is to match jewels on the board, with each color of jewel providing a different type of mana. These manas allow the casting of spells to do benefit your board while doing damage to your opponent’s HP. Also on the board are skulls, which are used to attack your opponent, and stars and coins that provide XP and money, respectively. This is a genuinely cool concept, and is an excellent mashup of two genres. The storyline used to propel the game is standard fantasy fare, and I had little to no interest in it. Basically, the kingdom is in danger and it is your job to run around, complete quests and slay orcs/zombies/demons/etc. Hardly anything original, but it’s there if you want it. Personally, I was more interested in completing puzzles and leveling up my character. It was refreshing to be able to build up strength and unlock new character abilities in a puzzle game. 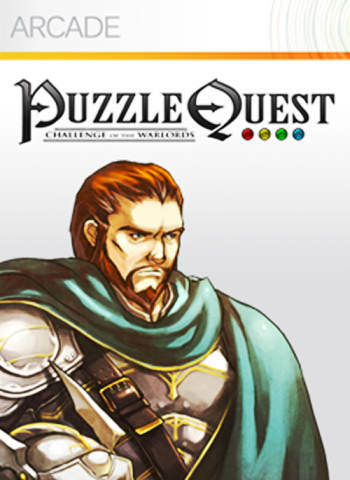 Puzzle Quest can get ridiculously addictive, and that is a large reason why it is available on everything from the Nintendo DS to the iPhone to the Wii. If the game has one fault, however, it is the ever-knowing CPU. Sometimes the CPU gets some ridiculously lucky breaks, which can make it seem as if it knows what jewels are going to fall down ahead of time. This can get downright maddening when you are in the midst of a tense battle, and it also tends to happen when you have a sizeable lead yet the CPU keeps finding ways to get back into the game. Even still, this helps make every battle important and presents an omnipresent level of challenge. Puzzle game lovers will definitely enjoy this, but it certainly helps if you are into RPGs as well (and appreciate a good challenge).